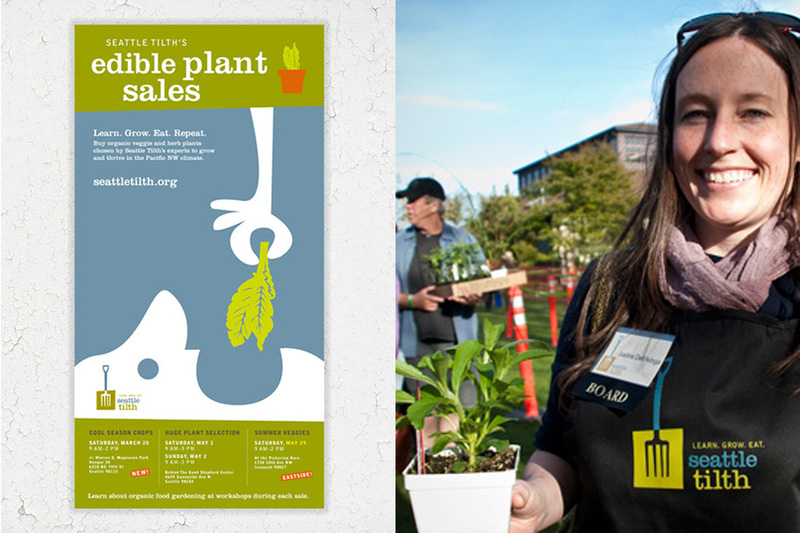 BEFORE: I developed Seattle Tilth’s brand in 2008. 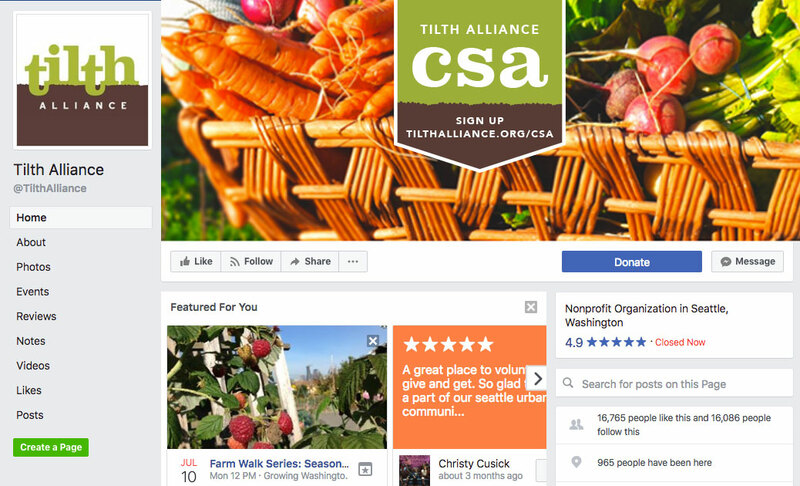 The images above show the brand that was still going strong until Tilth Alliance hired me for the rebranding project. 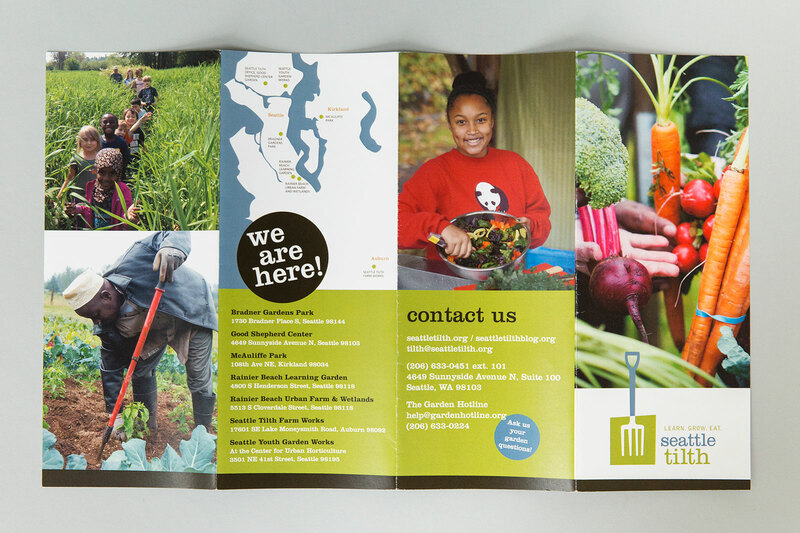 BEFORE: Seattle Tilth became Tilth Alliance after a fusion: the brochure above shows the Seattle Tilth brand that I developed prior to Tilth Alliance rebranding. AFTER: Tadaaa, the new logo! The updated brand brings back some of the previous elements and keeps the casual, colorful atmosphere alive. 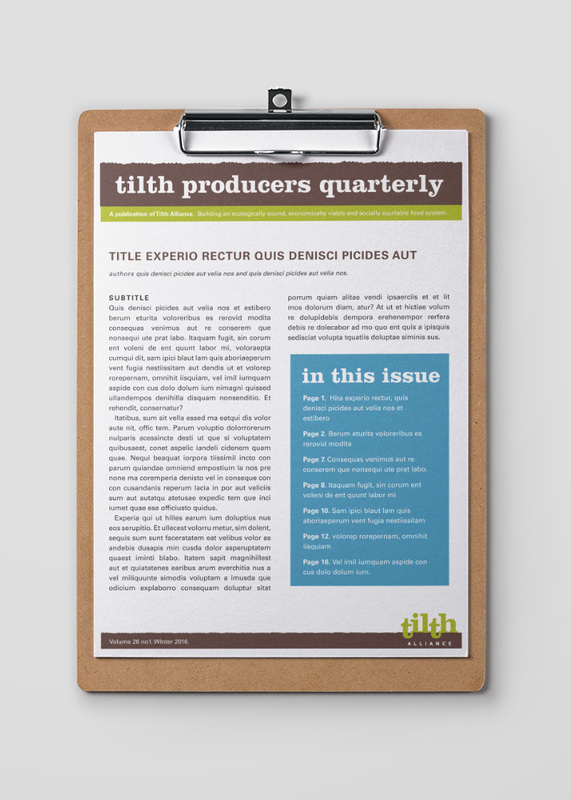 A new brochure touching on all different aspects of Tilth Alliance’s work, clarified by icons that are used thorughout all collateral. 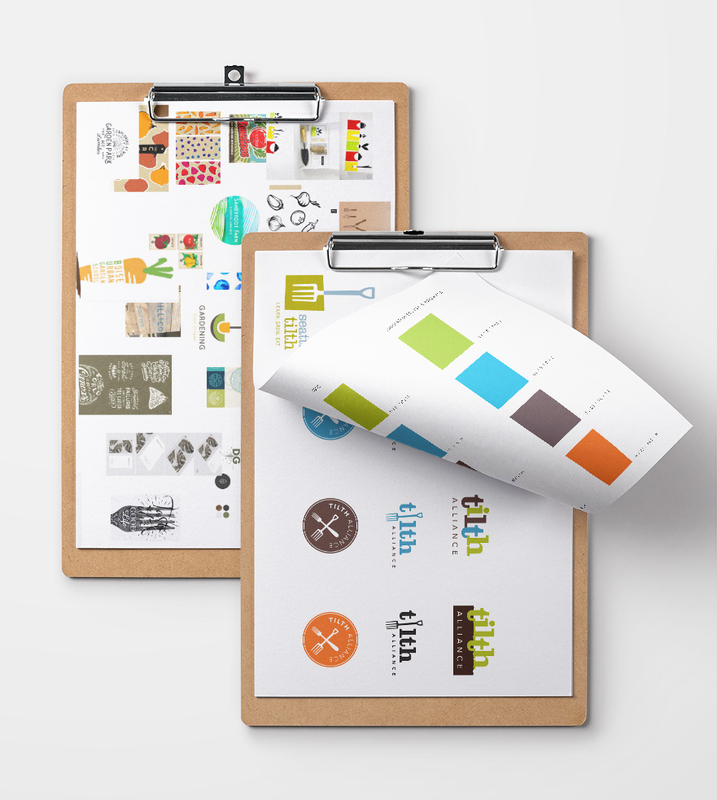 I created a series of produce icons that can spruce up any standard merchandise in a flash. 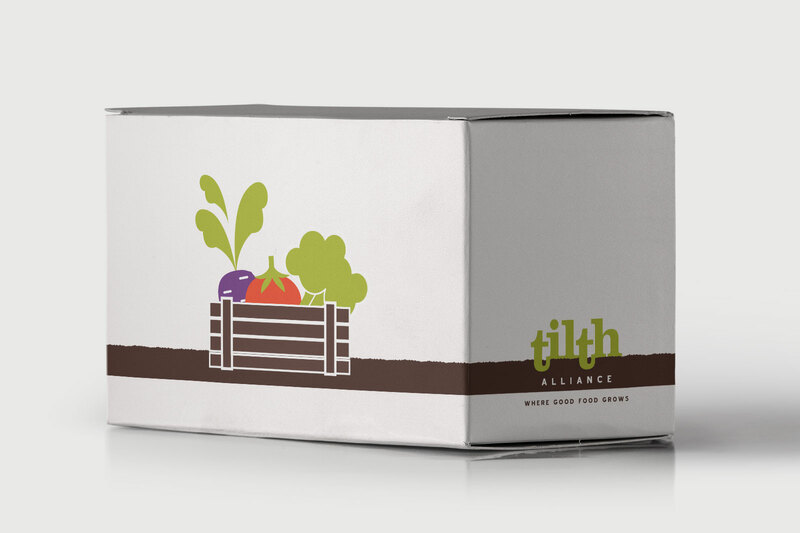 Veggie illustrations and branding elements applied to a CSA box. 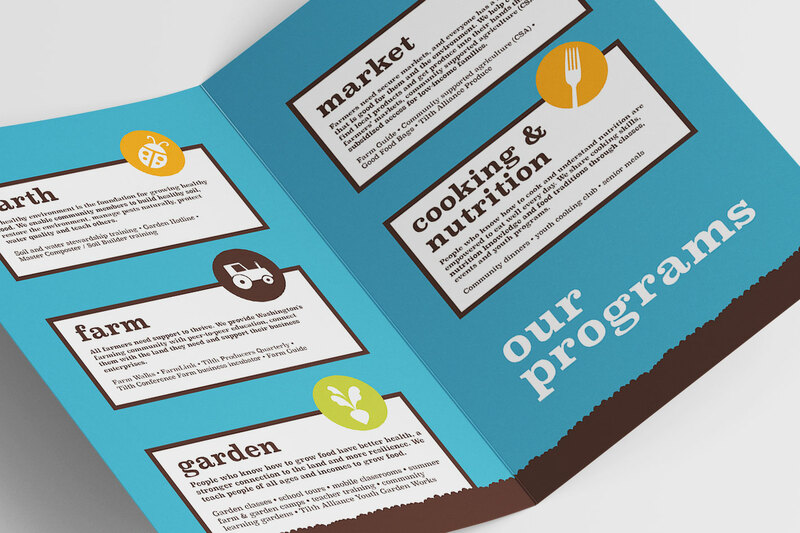 For a brand that will be applied to a wide variety of materials—by a wide variety of people—I like to include strong elements that can be mixed and matched, create flexible templates, and provide easy-to-apply guidelines. Social media icons and imagery are an important part of succesful branding. A quick peek at the inspiration board and alternative logos that were presented during the process.